Motorola has launched Moto P30 smartphone recently. The brand has also announced about Moto E5 Plus and Moto Z3 smartphones. We will furnish the complete details of all of these smartphones soon including Moto P30 phone. You may find some of the detail of Moto P30 over here. 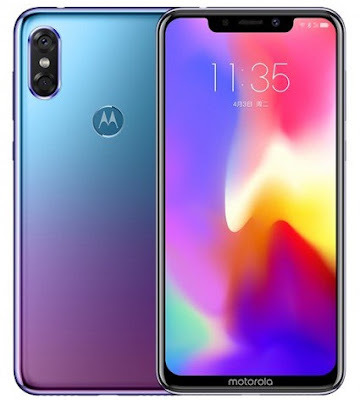 If you are searching for Moto P30 smartphone key features, technical specifications, price, review and other detail excluding the first impression, comparison and hands-on review at the moment then some of them you would find them over here. The phone from Lenovo's owned Motorola is powered by Qualcomm Snapdragon 636 processor and paired with 6GB of RAM. The internal storage of the phone is of two variants viz. 64/128GB. Moto P30 device runs with the latest Android Oreo operating system beside ZUI 4.0 and it comes with 3000mAh battery as well. The gadget is all about 6.2 inches display with 19:9 aspect ratio. Motorola Moto P30 comes with 16+5 megapixel dual rear and 12 megapixel selfie camera sensors for better low-light result. You may find its specs and price detail, below. Tips: First notch designed smartphone from Motorola and worth to go with it.